The new product that comes in abar soap is more enhanced to totally answer the vneed to ward off the imperceptible signs of aging, stress and harmful elements in our skin. 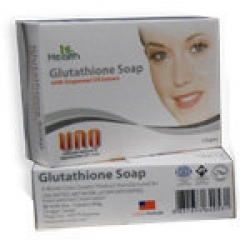 GLUTATHIONE: proven to diminish the skin imperfection, dark spots, and blemishes. ROSEHIP OIL: works on fine lines and wrinkles and other natural or manmade marks on our skin. It has been proven that rosehip creates miracle specially in reducing pigmentation. Beauty experts attest to its powers. It moisturizes and revitalizes the skin by fixing damaged skin cells resulting in smoother skin. GRAPESEED OIL: It has moisturizing and nourishing properties. Used by experts and beauty afficionados for hundred of years. Grapeseed oil which from the seeds as a by-product of manufactured wine is best absorbed into the skin and is good oil for acne and oily skin. VITAMIN C: is of course man's best protection against common skin imperfection like acne, blackheads and etc. 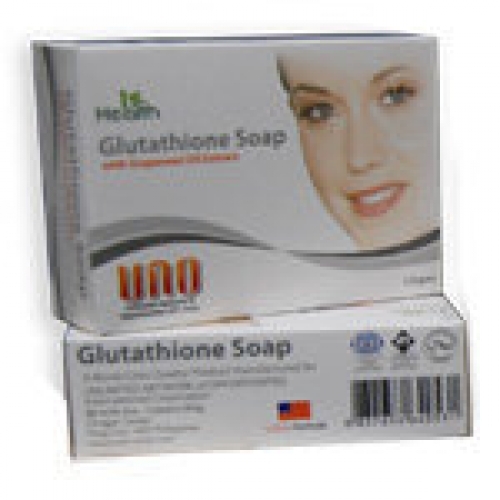 combined these four and you get the wonders of our NEW GLUTATHIONE SOAP.